A lively, all-action Holiday Park stretching out behind dunes that offer direct access to miles of sandy beach, Presthaven Sands has everything a family could wish for - including three pools, two ShowBars and a fabulous central "action zone" with go-karts and sports courts. Plus there's plenty to explor, from Conwy Castle to the Welsh Mountain Zoo. 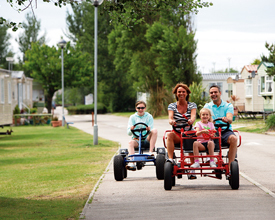 A lively, all-action Holiday Park stretching out behind dunes that offer direct access to miles of sandy beach, Presthaven Sands has everything a family could wish for - including three pools, two ShowBars and a fabulous central �action zone� with go-karts and sports courts. Plus there's plenty to explor, from Conwy Castle to the Welsh Mountain Zoo. Fill each day in just your own way - Start the day with a family Wake 'n' Shake session, before challenging the family to a Laser Combat battle! 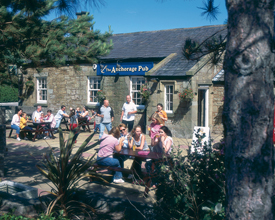 A seaside holiday wouldn't be the same without a traditional fish and chips lunch, so refuel before taking the Adventure Golf challenge, scaling the climbing wall, or simply just enjoying the stunning beachside location. Cap off your day by heading off to the ShowBar for a drink, live music and dancing. 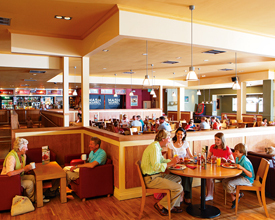 Whether it's out and about or staying on Park, you'll have a great holiday at Presthaven Sands. 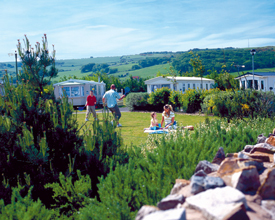 Presthaven Sands Holiday Park offers the following facilities. 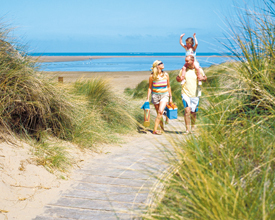 With 7 miles of sandy beach adjacent and nearby castles galore theres plenty to find at Presthaven Sands. Nature lovers will like a seabed stroll through the underwater tunnel at the Sea Life Centre while the great outdoors can be explored within the 80 acres of beautiful gardens at Bodnant Garden. Enjoy the large nearby golf courses such as the St Melyd Golf Course located about half a mile from Prestatyn Town Centre. This is a 9-Hole parkland course which has a par of 68. Also there is Prestatyn Championship Golf Course located next to Gronant Dunes. This course is for all standards of player, the course is mostly flat, and has a par of 72. While there take a stroll around Gronant Dunes an attractive unspoilt length of coastline which still serves as a natural sea defence. Other attractions like Great Orme Copper Mines Europe's best Bronze Age mine and the Welsh Mountain Zoo, Colwyn Bay high in the woods behind the town, with eagle displays and Chimpanzee World will keep your little ones entertained. Have you been to Presthaven Sands Holiday Park? Please submit your review so that others can benefit from your experience. Important note: Information provided here about Presthaven Sands Holiday Park is based on our best knowledge. However, please check with Presthaven Sands Holiday Park before booking to ensure that you have the information required. Reviews are the sole views of the contributor and do not necessarily represent the views of CampsitesandCaravanParks.com or Presthaven Sands Holiday Park.